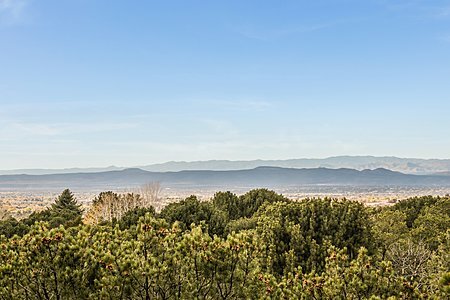 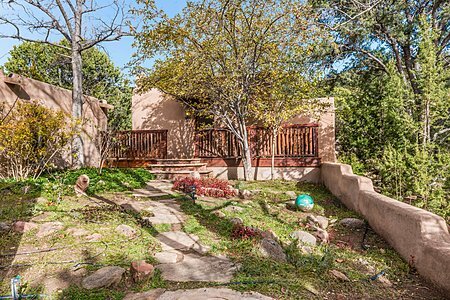 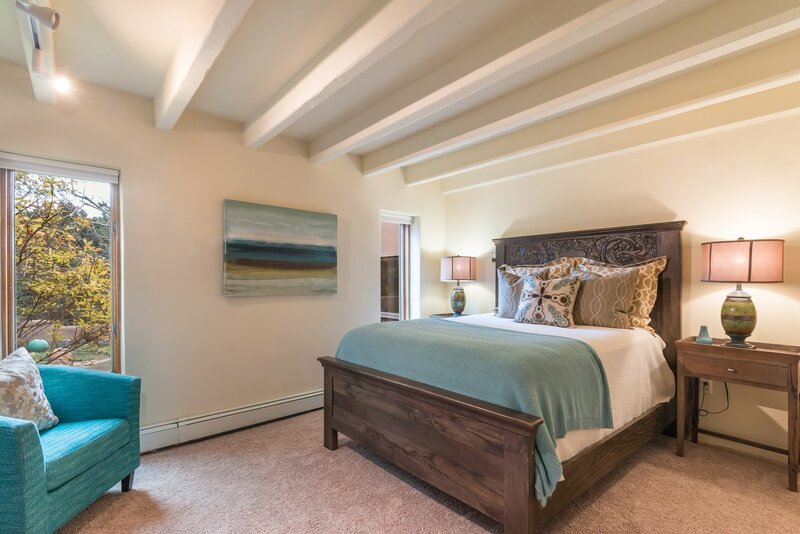 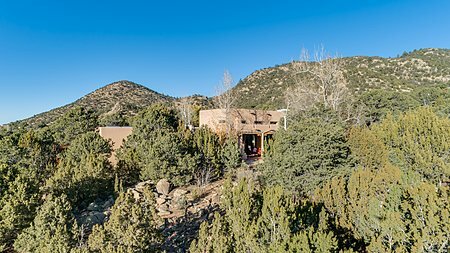 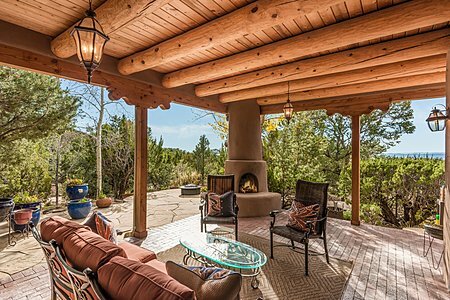 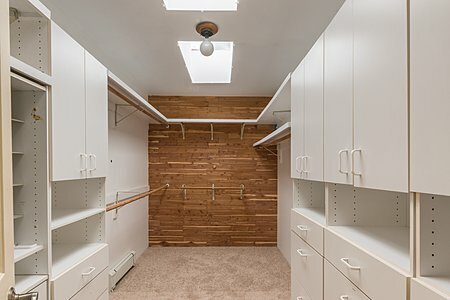 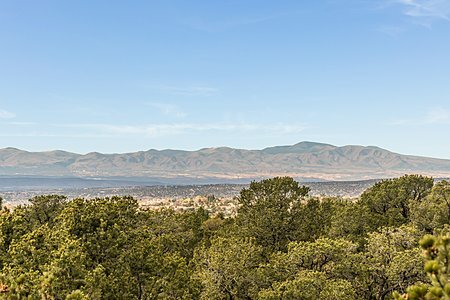 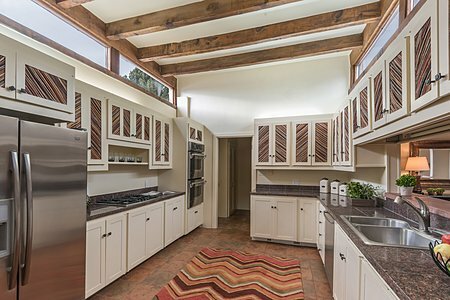 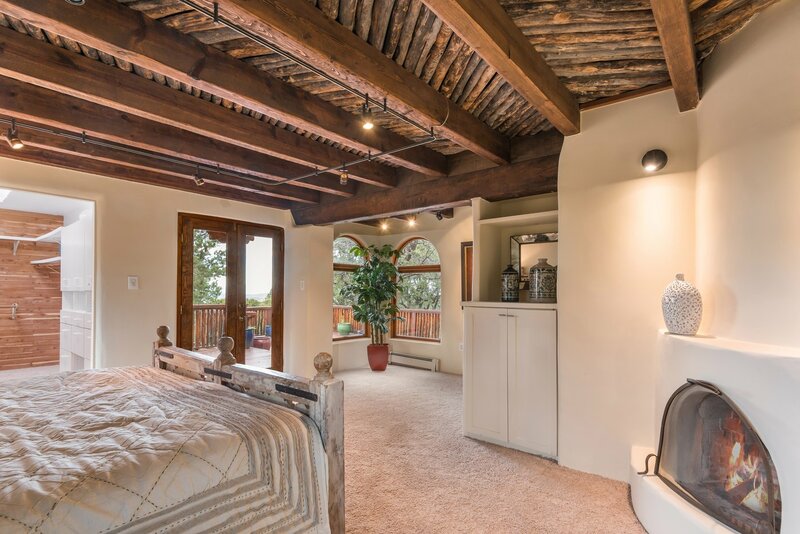 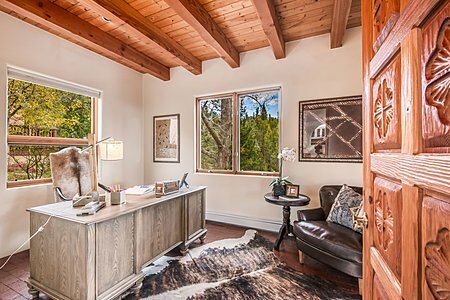 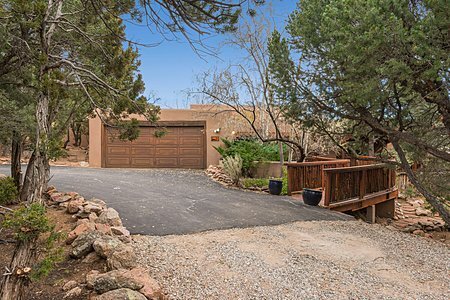 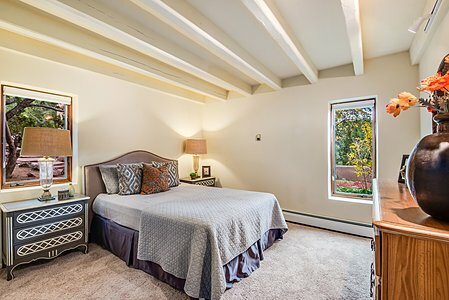 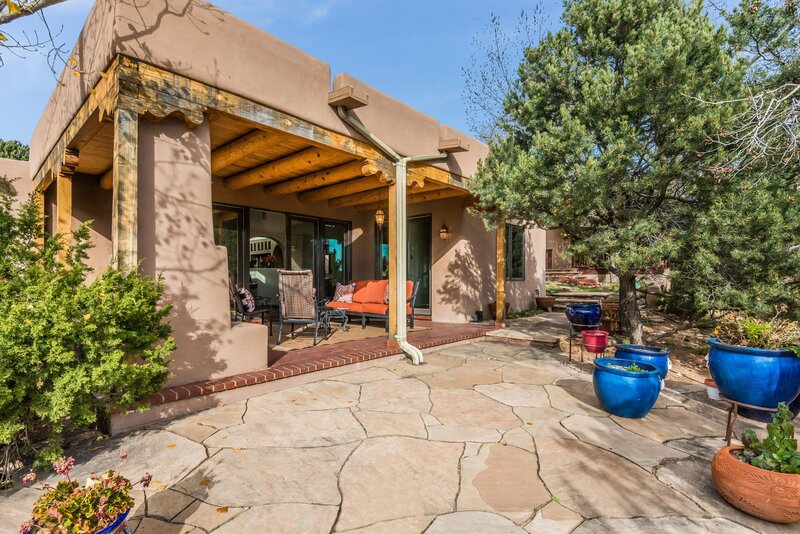 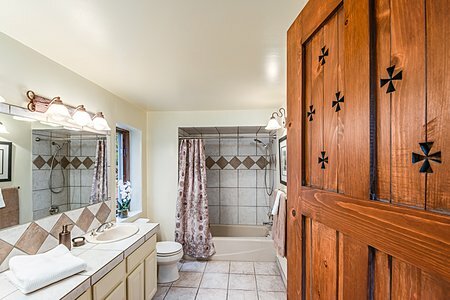 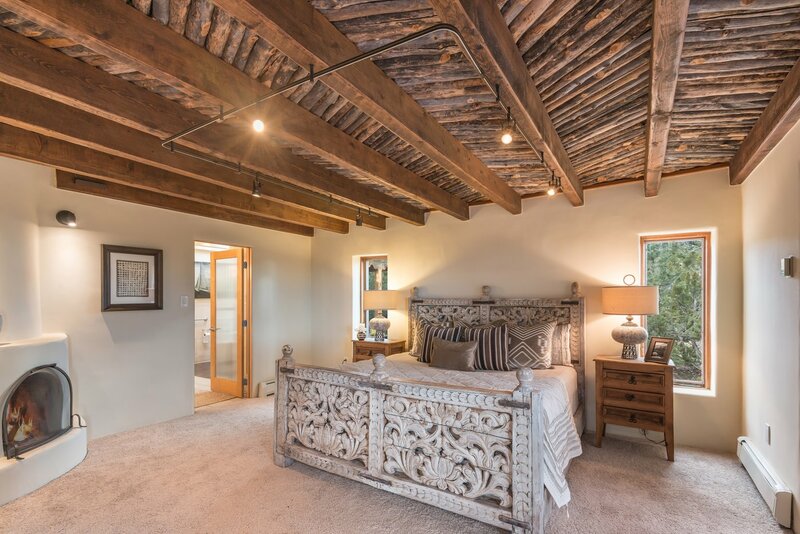 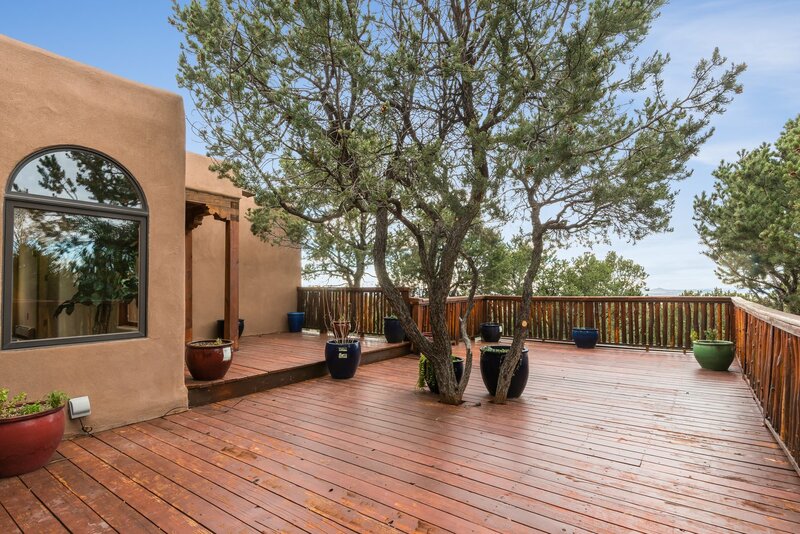 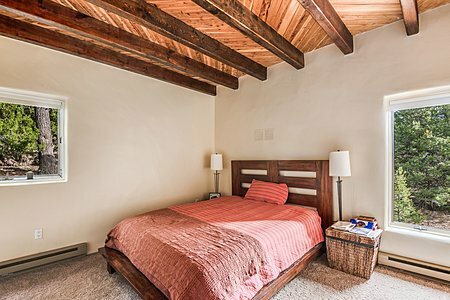 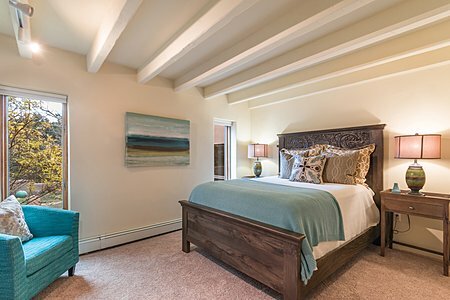 Enchanting property nestled in the foothills at the base of Moon Mountain off the Old Santa Fe Trail offers panoramic western views over the City of the Jemez, Sandia, Ortiz, and Manzano Mountains, plus Mt. 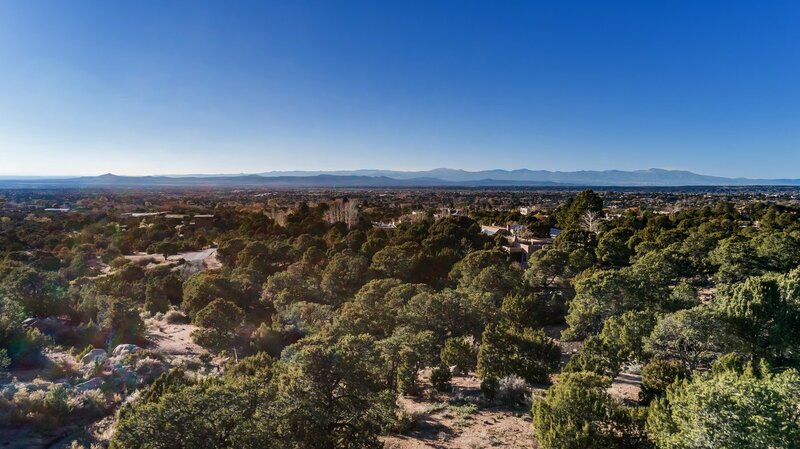 Taylor, and showcases sparkling City lights and spectacular sunsets! 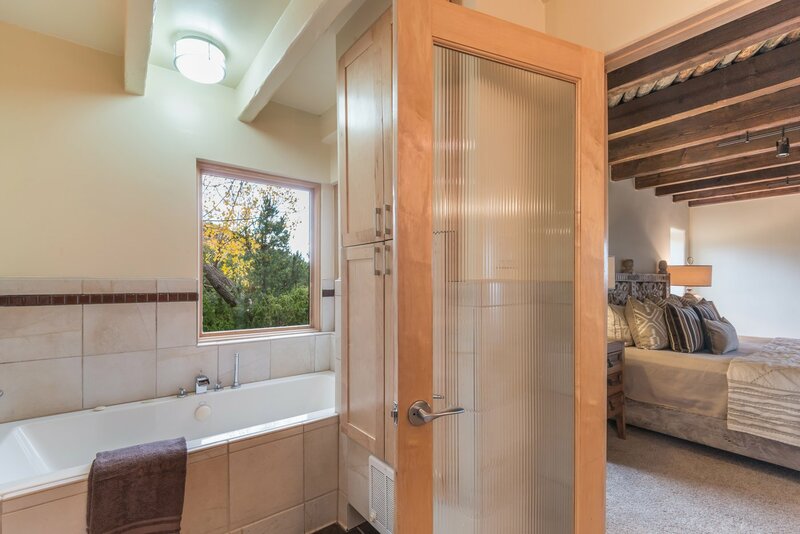 On two and a half private acres with thick coniferous vegetation, you'll be delighted to find a beautiful Pueblo style three-bedroom, three-bath main residence and a charming one-bedroom, one-bath guest house. 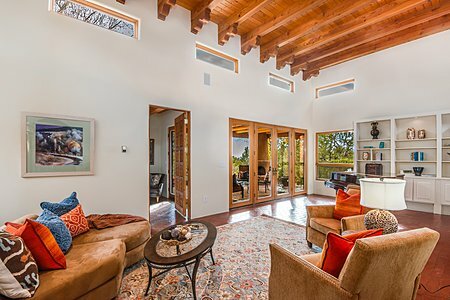 The main house features a large great room with abundant natural light and a very tall, beam and corbel ceiling, along with a cozy comfortable family room, a tasteful formal dining room, an appealing kitchen with casual dining nook, a very nice master bedroom that opens to a big deck with those wonderful views, and a stylish office. 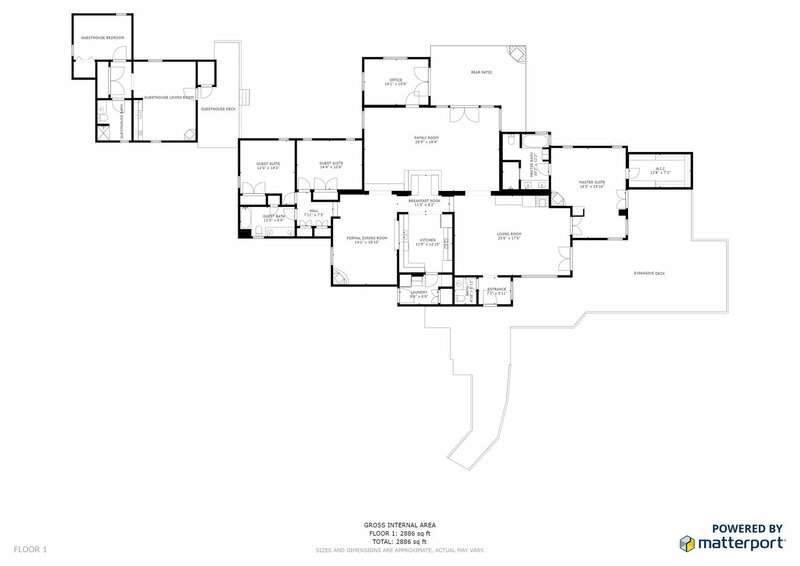 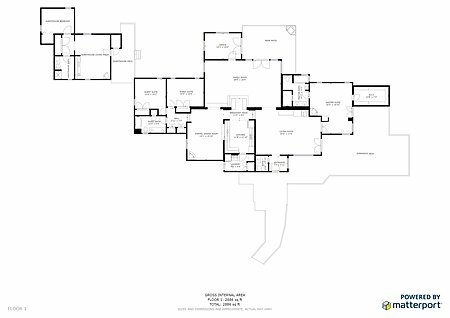 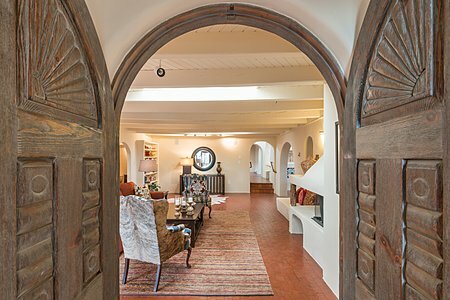 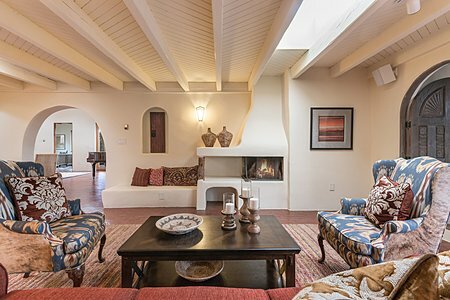 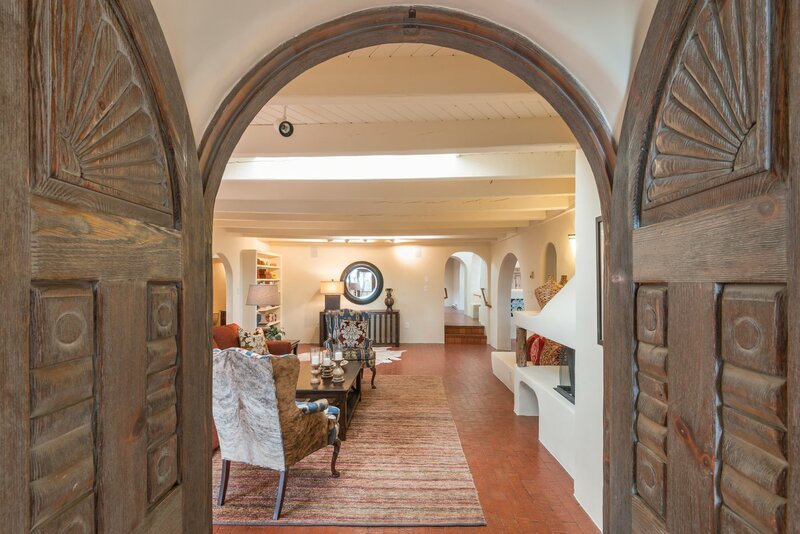 Both the office and great room open to a fabulous portal with a fireplace where you can enjoy our superb Santa Fe weather! 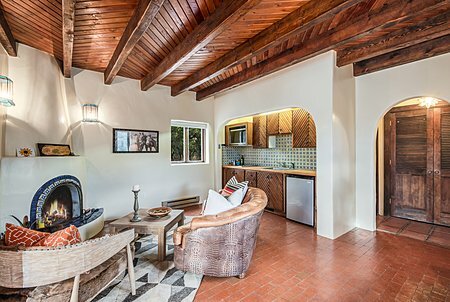 The guest house is very sweet and has an inviting living room with fireplace, kitchenette, a nice deck and pretty yard, and its own driveway. 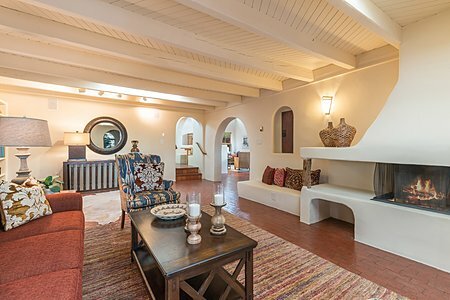 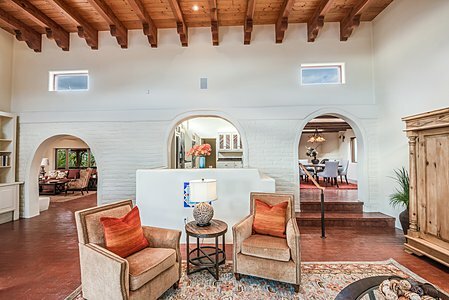 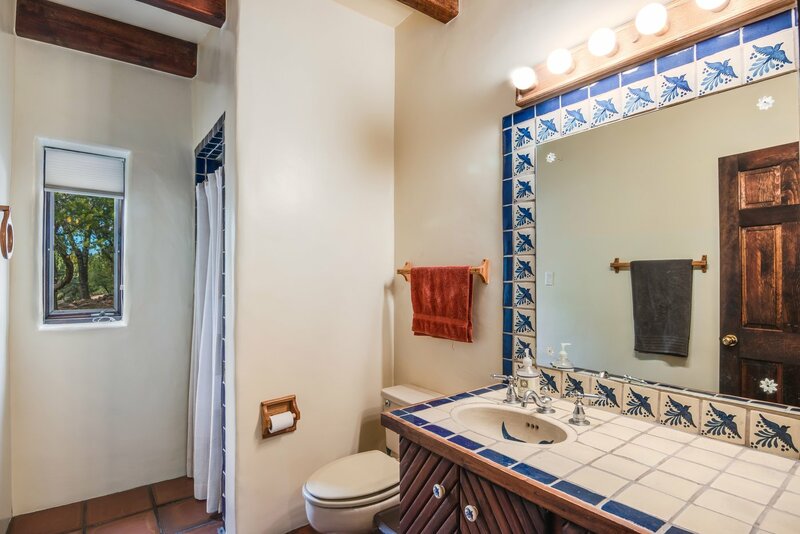 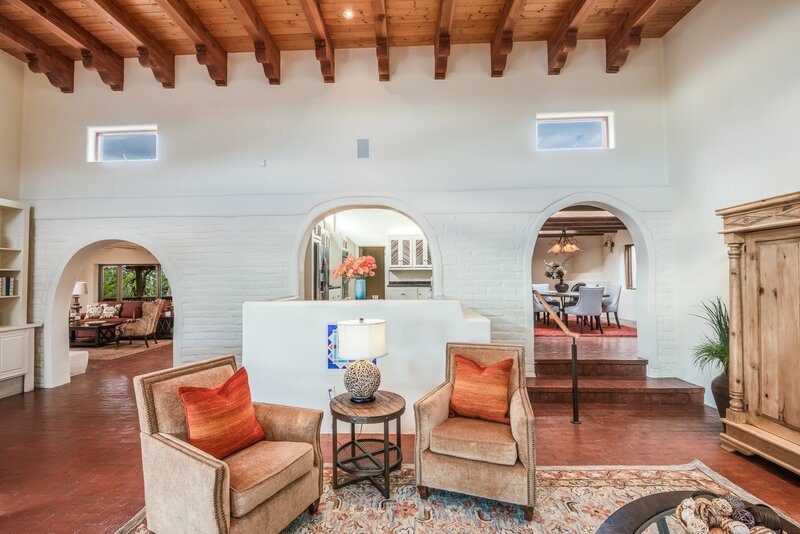 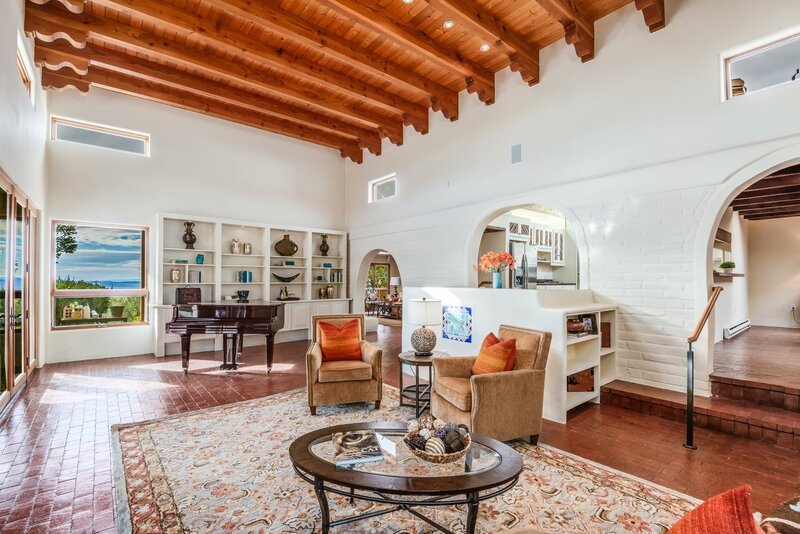 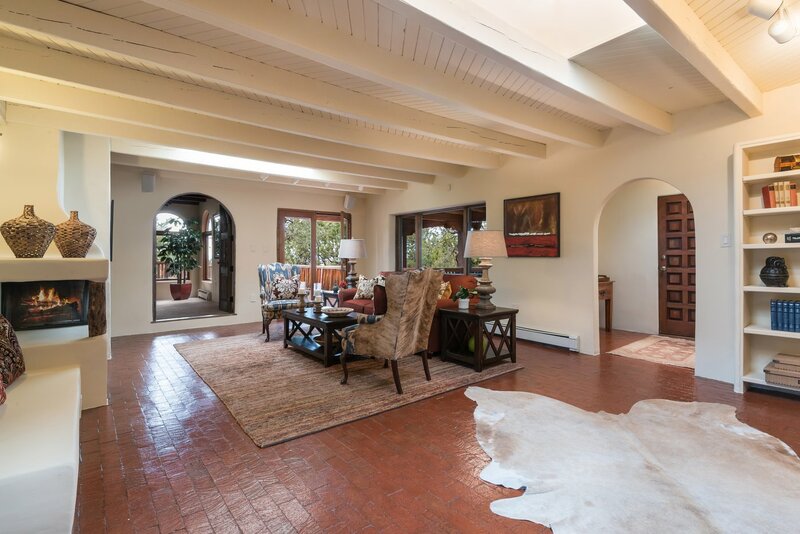 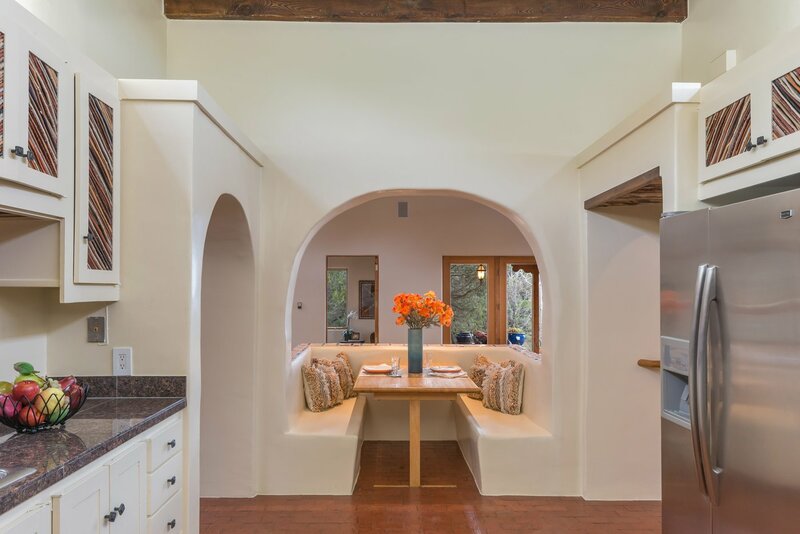 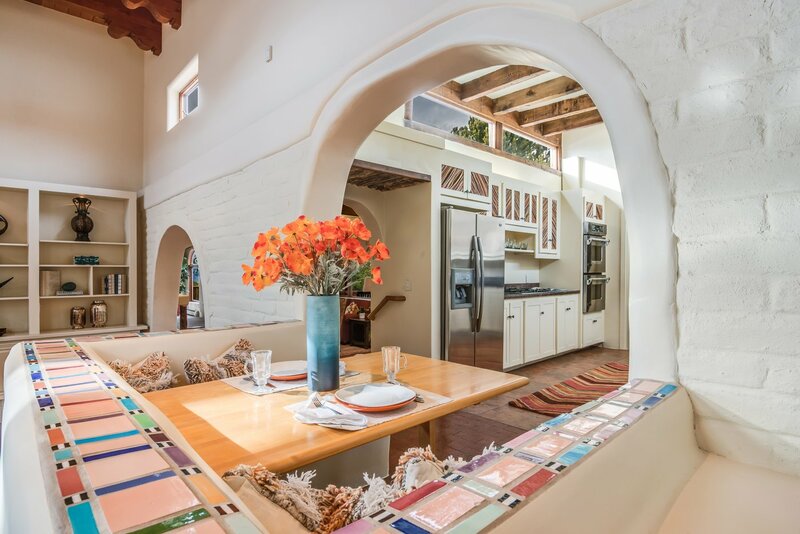 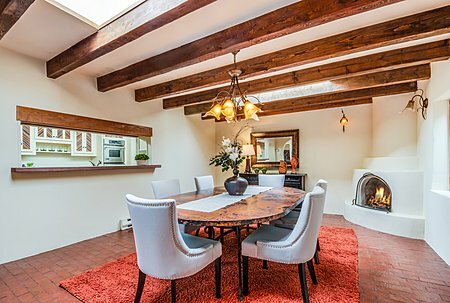 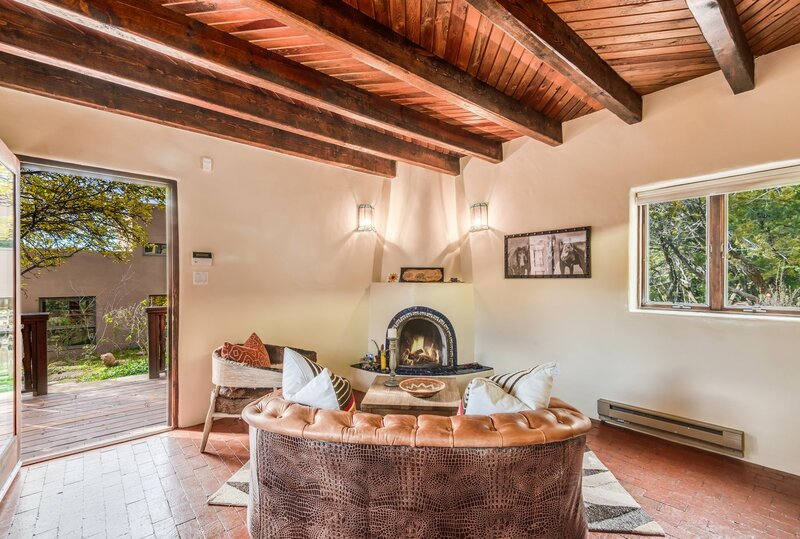 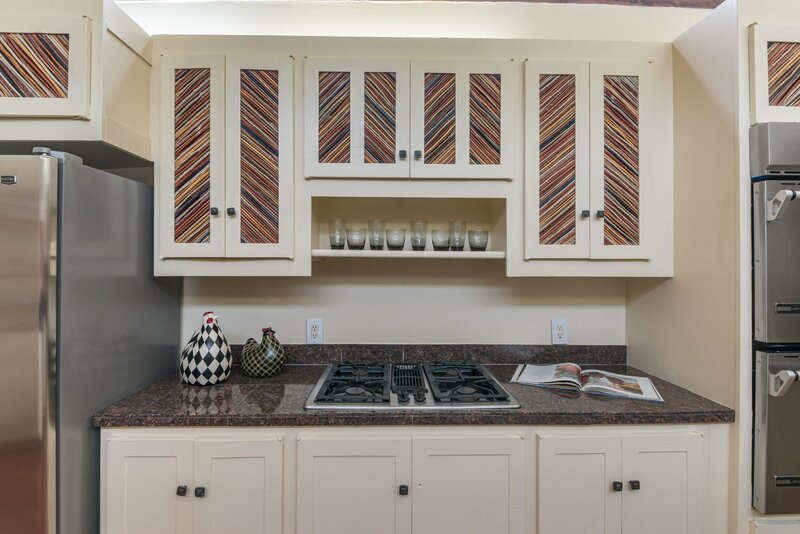 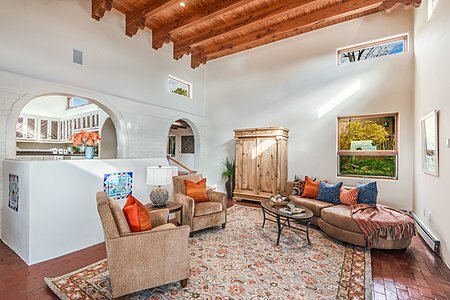 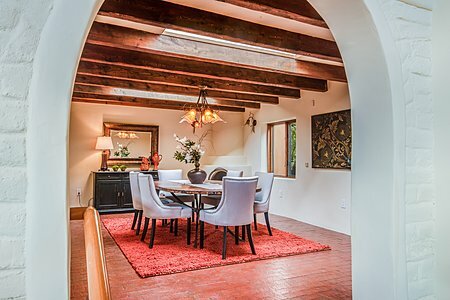 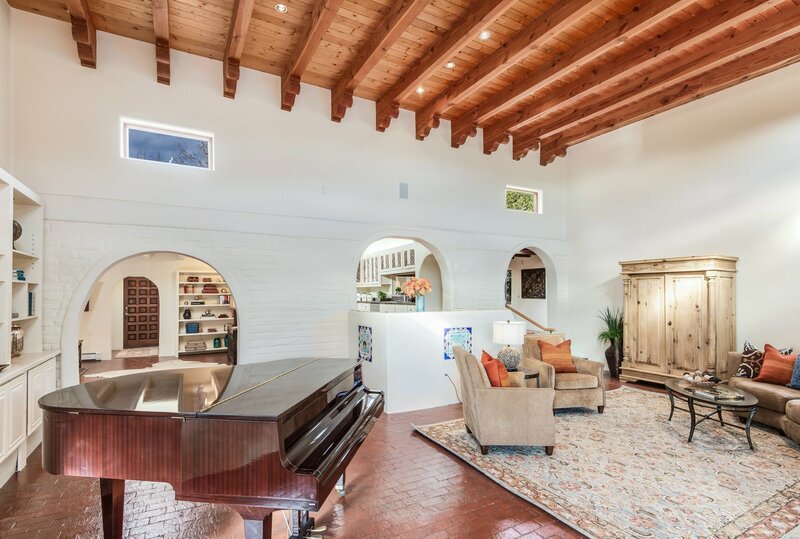 Classic Pueblo architectural details in the dwellings include attractive brick floors, beam and viga ceilings with herringbone planks and latillas, and five fireplaces. 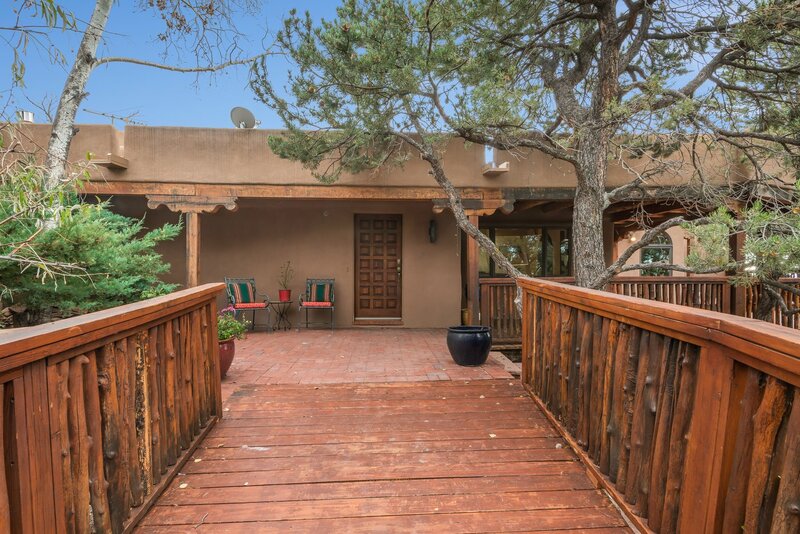 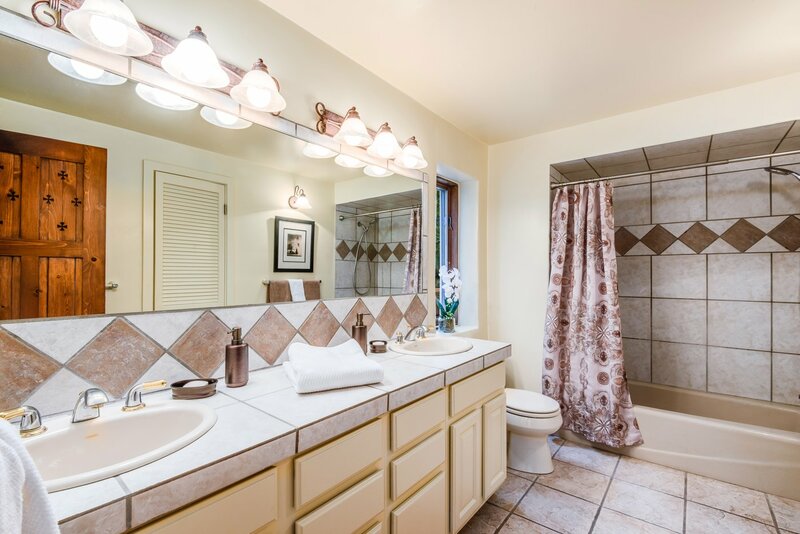 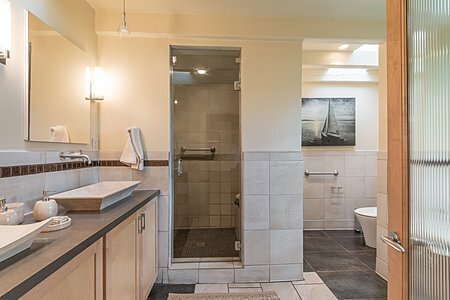 An alluring offering just moments from the historic Plaza and all the desirable amenities downtown!